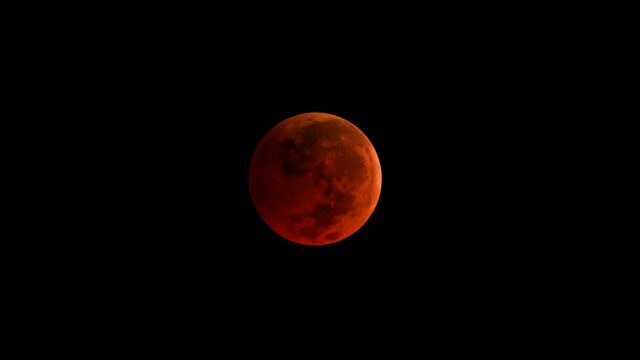 Do you want a great close-up view of Sunday evening’s “super blood wolf moon” eclipse? 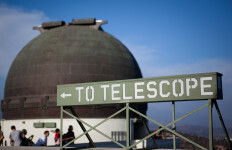 The eclipse will be visible throughout North America with the naked eye, but the Griffith Observatory will provide telescopes with assistance from employees and local volunteers to visitors starting at 7:30 p.m. According to the National Geographic, “This lunar eclipse happens to coincide with the wolf moon, the traditional name for the January full moon. What’s more, the moon on Jan. 20 will be unusually close to Earth and so will be slightly bigger and brighter, making it a so-called supermoon.” Hence, the unusual moniker. “A total lunar eclipse occurs when the Moon passes through the Earth’s shadow. The disk of the full Moon slowly moves in the dark shadow, and the bright Moon grows dim,” officials of the Griffith Observatory said in a statement. The moon won’t go completely dark, but will glow a slightly red tint as “a result of sunlight being filtered and bent through the Earth’s atmosphere,” similar to a sunset. The first visible signs of the moon moving into the Earth’s shadow will be at 7:33 p.m. Sunday evening. The moon will reach maximum eclipse at 9:12 p.m. and remain as such until 9:43 p.m.
No admission fee is required. Chairs, blankets, coolers, telescopes and similar items will not be allowed onto the grounds after 3 p.m. If rain is forecast for Sunday evening afternoon or evening, the event will be canceled with notices posted to the Griffith Observatory web page at griffithobservatory.org/. The next total lunar eclipse will not be visible in Los Angeles until May 26, 2021.